After picking up Mario Party 6 for a bargain price, I promised myself I wouldn’t touch another Mario Party game, except perhaps any Wii version. Despite my words, I have recently ended up spending a couple of weeks with Mario Party 7 (MP7) after borrowing it from a mate. Despite my vast playtime with every installment of the Mario Party franchise, bar number 5, I still found myself playing MP7 quite regularly. And although MP7 is little more than a recycled game short on fresh ideas, it stills stands as a solid party game for those who either cannot get enough of the MP franchise, or those who are relatively new to it. I am sure most readers will have played at least one MP by now, but for those who haven’t, MP is party game that involves many of the Mushroom Kingdom inhabitants moving around themed boards and collecting coins and stars. My using a die, the player’s move around the boards landing on spaces that have varying reactions. At the end of each turn, the 4 players will engage in a mini- game to win coins. By collecting coins, you can accumulate enough to buy stars, which will usually cost you 20 coins. 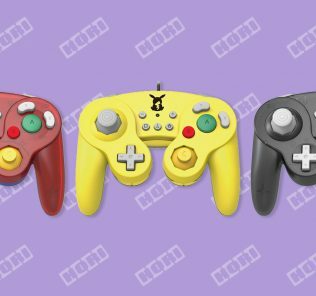 I won’t go into the ins and out of the Mario Party concept, as doing this would only benefit the very few people who haven’t played at least on version. All you need to know is that the crux of the game is the mini-games, and this is where the fun begins. MP7 includes 88 brand new games, including several games that are compatible with the included microphone and a dozen games that can be played with 8 players. I must admit, the game design in MP7 is some of the best yet, especially considering how difficult it must be to design games that are fresh and not just rehashes of past games. The mic games are just hilarious; mainly because the mic doesn’t work very well sometimes and it’s amusing watching people lose their cool and throw the mic at the TV. The 8 player games are a new addition to the series, and whilst I did play the 8 player mini games with CPU opponents, I didn’t have the pleasure of playing with 8 people. Seriously, how many people would honestly get 8 people around to play just 12 mini games in which you have to share a control? Not many I suspect, though it would possibly be entertaining with several drinks, no? Criticisms aside, the main mini games (that is, the non-mic, non-8 player games) are well designed and mostly of a good quality. There are still several rehashes (tap A as fast as you can! ), but this is forgiven due to how much the series has been milked. MP7 includes 6 boards, each with a different theme ranging from a space theme to the mandatory Bowser level. However, the boards do not only differ in terms of how they look; each board has a different concept in regards to collecting stars. The first board is quite basic, and a simple exchange of 20 coins will earn you a star. Others are more complex, like one board that has players ascend a tall mountain to buy a star at increasing prices. Another board gives each player 5 stars to start with and allows players to steal stars of other players by riding atop a chain-chomp. I quite like the idea of putting a different spin on star collecting, though I wish there were some more courses that stuck to the original formula. On a positive note, the board design is well executed, and you won’t find yourself doing circles for the majority of the game (I’m looking at you Mario Party 4!). Returning to MP7 are the ever useful and often annoying orbs. There are quite a few different orbs that you can either buy or pick up, each with a different effect. Some will allow you to roll the die 2 or 3 times on a spin, others will act as traps that can be used to steal stars/coins or to annoy your opponents in some other way. The whole idea of orbs is to throw a spanner in the works, to give the game some degree of unpredictability. I am quite partial to the orbs, because used wisely they can give you a great advantage over your opponents. Of course, they can also backfire on your evil plans. MP7 includes character specific orbs that work on character pairs. For example, Mario and Luigi can collect/buy a fireball orb that allows them to steal coins from any character they pass for three consecutive turns. Wario and Waluigi have a vacuum orb that allows them to steal between 1 and 10 coins from your opponents. It’s a nice little touch that makes you consider your character selection a little bit more. Aside from the main party mode in MP7, you can choose from a single player mode, the deluxe mode (8 player games), or just play mini games. The single player mode pits you against another player (CPU or human) on each of the games boards. However, instead of the usual ‘whoever gets the most stars wins’ approach, each board has a different mission. The first board, for instance, is won by whoever collects 2 stars first. The winner of the Bowser stage is decided by whoever beats him in the ultimate mini-game. 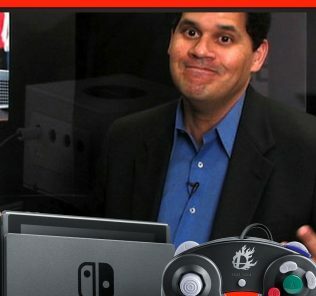 Solo mode can be completed in a pretty short time, which is ideal as the only reason you will play it (probably) is to open up the final course (Bowser stage) for play in party mode. The mini-game mode just allows you to play any of the mini games you have opened in party mode in various ways. For instance, you can simply just choose which game you want to play, or you can compete in a decathlon of 10 games. MP7 also includes a shop in which you can buy various items, such as bonus characters and a harder difficulty. The currency of choice is Cruse Mileage points, which you earn by playing either the party mode or solo mode. In terms of graphics and sound, MP7 has improved very little since the first Gamecube version (MP4). Character models are solid enough, and the boards are colourful yet devoid of any groundbreaking visuals. Sound is mediocre, with very few character voices and a soundtrack that is probably just the same as every other MP game. Definitely nothing special here, MP7 only earns a pass in terms of how it looks and sounds. You may have noticed that I have failed to mention the games story. This is not a case of forgetfulness my friends, it was a deliberate act to protect you from wasting your time reading about a story that lacks any sort of sense or merit. Why bother writing a story into such a genre? Mario and co. do not need a damn excuse to have a party in my eyes. If they want to party, then so bet it. Don’t throw in some ridiculous plot about the gang going on a boat cruise for a hard earned break and, well, you can already see how crap it is. The question you need to ask yourself is ‘do I need to play another MP game?’ My answer to this is ‘well, it depends’. I like MP7, despite the fact I have played most of the games in the series to death. That said, if you can pick it up cheap, it’s a great party game. Though, if you already own MP5 or MP6, than I can’t really justify the purchase of MP7. If you’re new to the series, of if you’ve been on hiatus for some time, than MP7 is worth a look. Perhaps even a rent when you know some mates are coming around. MP7 is a solid party game that delivers in terms of being at least as good as its immediate predecessor. 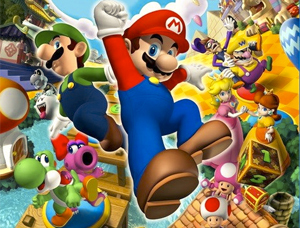 The MP franchise continues to sell in great numbers, and Mario Party 8 is already in development for the Wii. It may be an idea to wait for MP8, as the Wii will hopefully rejuvenate a series that is becoming quite worn out. 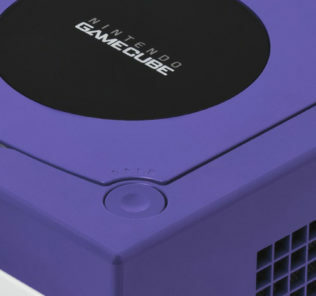 Though, with the Gamecube in its last few months of life, it may be worth picking up MP7, calling around some friends, and giving it a whirl for one last ride with the little purple (or black) box that could. First gaming experiences were with my older brother playing Sonic the Hedgehog on the Sega Master System and Sega Mega Drive. I was about 12 years old when the PS1 and the N64 were just about to be released, and I wanted to get a PS1 based on my experience playing some demo PS1 games at a Video Games Heaven store. On the day we came to lay buy the PS1, they had demo N64 consoles set up in the middle of the shopping centre and we naturally took some time to sample the goods. Dad, who barely played games, decided that the N64 would be a better console and I have never looked back since then. Don't get the time to play games as much as I did when I was younger, though I still enjoy nothing more than sitting back on the couch and being absorbed into a totally different world.